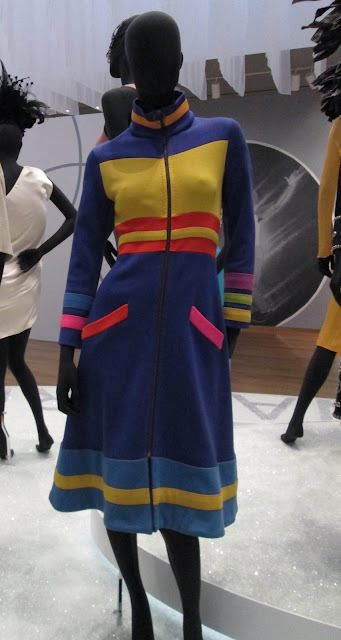 A colorblocked Stephen Burrows coat dress from Fall 1971. On Wednesday, June 19, 2013 at 6:30pm, The Museum of the City of New York will host “Stephen Burrows: An Intimate Interview” featuring Mr. Burrows in conversation with Kim Jenkins, Parsons Fashion Studies MA graduate. Mr. Burrows will discuss the downtown scene in 1970s New York City, his pioneering style, and how his vibrant colors, metallic fabrics, and slinky silhouettes helped define the look of the disco generation. This event is in conjunction with the wonderful exhibit Stephen Burrows: When Fashion Danced now on view at MCNY until July 28, 2013. The Museum will keep the exhibit open late next Wednesday so you can view the clothes before the interview begins. A peach wrap halter and skirt, 1975, and the “Back Knot” cocktail dress, 1983. This is a unique opportunity to hear directly from a fashion design legend and I guarantee you will not only have a great time, but you will learn so much! Mr. Burrows is funny, humble, and very engaging when speaking of his design aesthetic and career. If Ms. Jenkins can get him to talk about this Studio 54 days too, you are in for a treat. 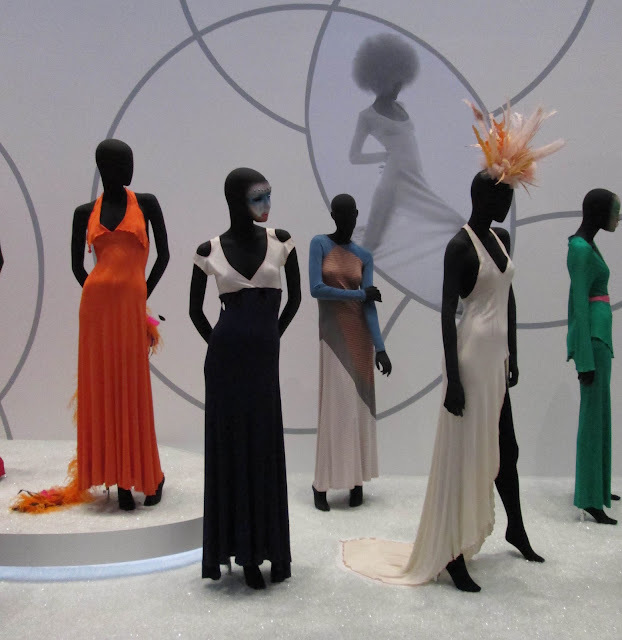 A group of dresses from the early 1970s with the slinky silhouette Burrows is known for. Reservations are required. Tickets are $6 for Museum members, $8 for seniors and students, and $12 for the general public. To register by phone call 917-492-3395 or click here to go to the MCNY Box Office. Attend if you can, I highly recommend this event!